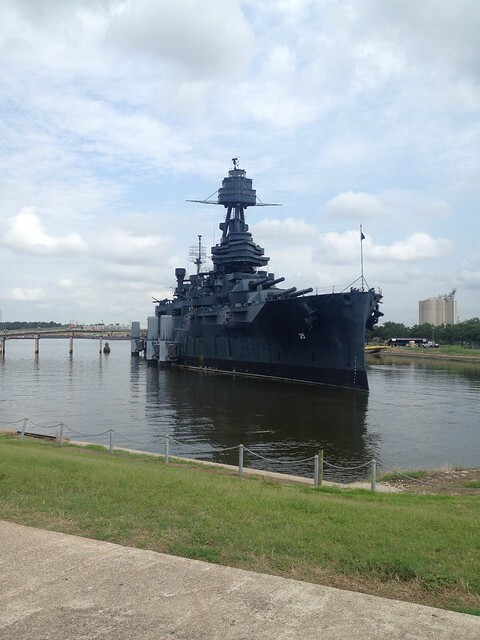 Next to the San Jacinto Battleground in Houston is Battleship Texas. If you like history, ships, militaria, or all of the above you’ll easily spend a few hours checking out this jewel of the Admiral Nimitz Fleet. Your parks pass gets you aboard for free. This is a great deal considering it’s normally $12 for an adult and $6 for the kids. 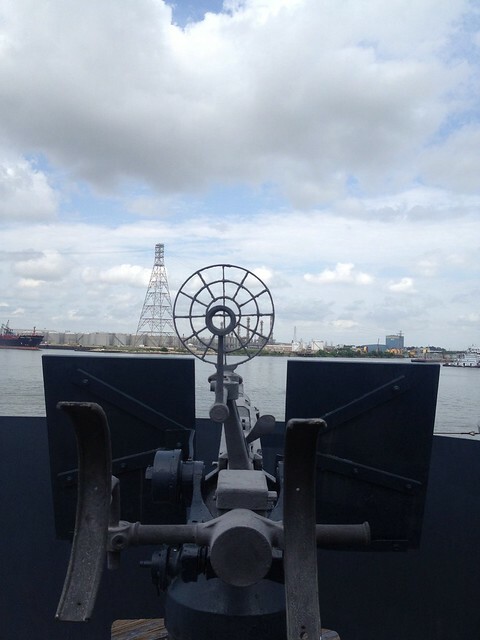 You can take a seat on the guns and get a feel for what it was like to aim these beasts. If you’re a photography nut, you’ll need to bring extra memory cards. 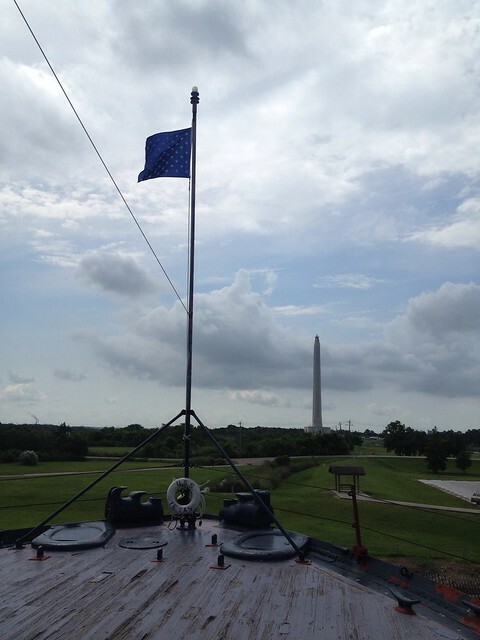 One of my favorite shots was of the San Jacinto Monument from the bow of the ship.